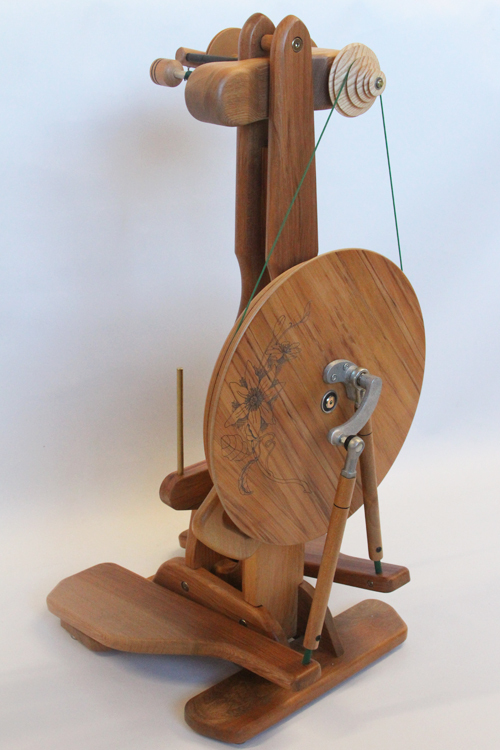 The Suzie is the original Majacraft double-treadle spinning wheel. It spins beautifully and is crafted in attractive New Zealand Rimu. The drive wheel is MDF with a Rimu veneer. 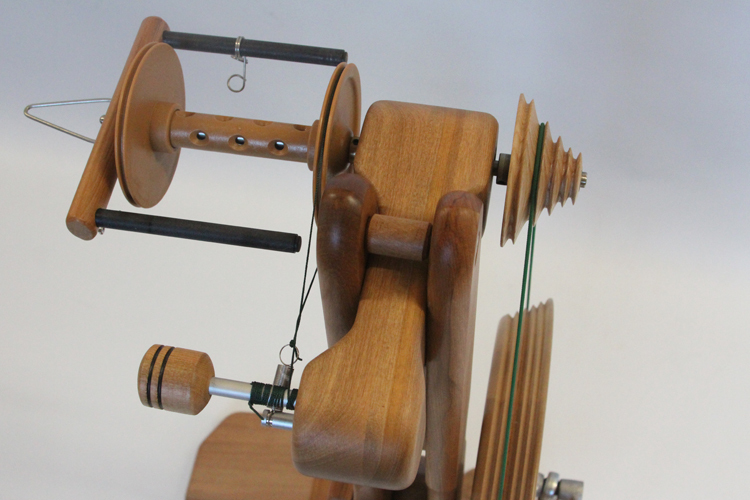 This makes the drive wheel both heavy for easier spinning and stable in changing climates while the Rimu veneer matches the colour and style of the overall spinning wheel. After years of evolution and refinement, we have it in a form that is both incredibly easy to use and spins wonderfully for both beginners and experienced fibre artists. 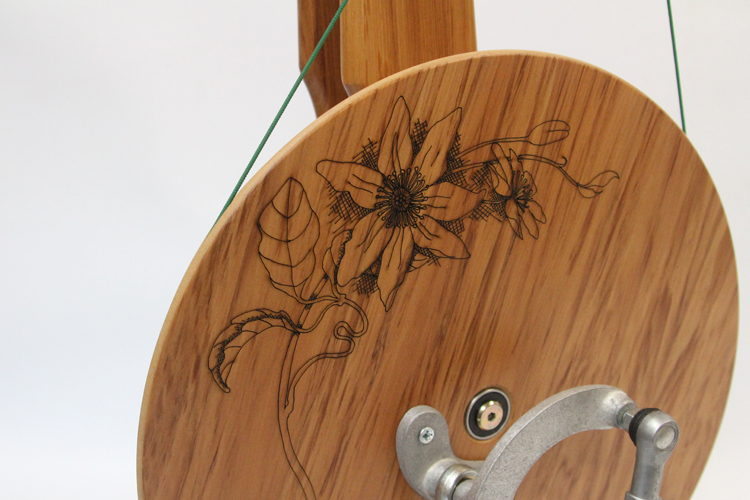 A New Zealand Clematis flower motif is laser engraved on the handle and drive wheel to create a unique and striking look.